They didn't call him "Big Game James" for nothing. Worthy wasn't just the most athletic wing in the league, he was clutch too! Worthy notched a 36 point, 16 rebound triple-double in Game 7 of the NBA Finals to secure the 1988 championship for the Los Angeles Lakers. One-on-one, Worthy was unguardable. The range of his post moves could rival Hakeem Olajuwon. Worthy one-on-one. He was too dynamic on the perimeter, and too technically sound on the block for one defender to prevent him from getting buckets. 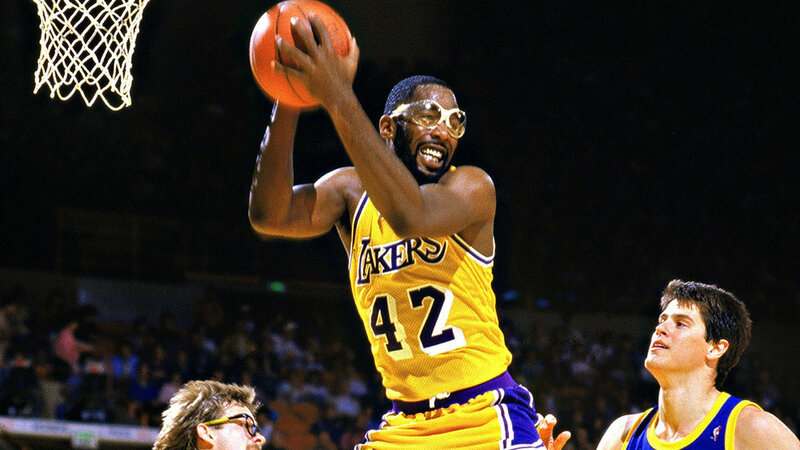 Instead of "Big Game," Worthy should have been known simply as "Buckets". To be sure, if this list were the greatest small forwards, then Erving would only trail LeBron. But his ABA dominance did not help him climb the ladder on this list. Regardless, Erving made the list because he is an all-time elite talent at the position. With the exception of Bird and Worthy, not many wing players could rival Erving. Erving was likely the fastest and most creative offensive threat in the league. But his playoff failures and head-to-head losses to Bird are a dark mark on his legacy. Erving was far and away a superior basketball talent to Bird, but Bird managed to produce more with the talent around him. Erving couldn't break through until much later in his career. Scottie was arguably the single greatest defender in the history of the NBA. He was named to the All-Defensive team 10 times for his defensive prowess. Perimeter players avoided Pippen the way quarterbacks avoided Deion Sanders. What made him an even more prolific defender was the fact that he defended Jordan in practice. 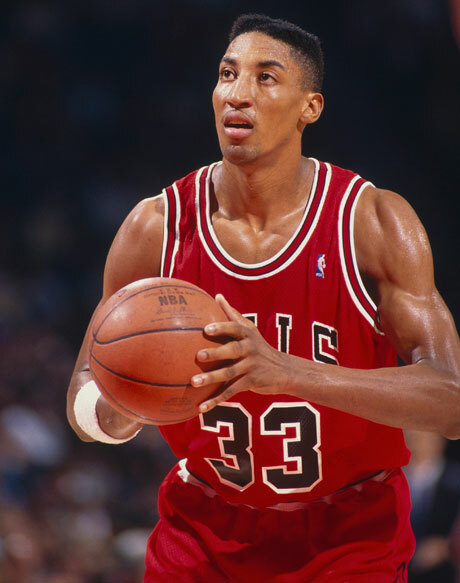 Though Pippen is often overlooked when discussing greatness and the Bulls dynasty, he was the heart and soul of the team. He consistently neutralized opposing teams best player. For the younger audience who never had an opportunity to watch, Scottie was a longer, more refined, tougher and all around better version of Kawhi Leonard. Scottie was so great, he led the Bulls to an Eastern Conference finals without Michael Jordan after Jordan retired to pursue a baseball career. Remember this: Chicago would have zero trophies if not for Scottie's contributions in the 90s. If not for the consistent brilliance of LeBron James, Bird would rank as the runaway leader of the pack. Bird entered the NBA in its golden era competing against the Showtime Lakers and Bad Boy Pistons, and the pesky Hawks with high flying Erving. Despite the level of competition, Bird rose as the cream and led his Celtics to five Finals appearances. Though the moniker of "King" is unbefitting a five-time Finals loser, when it comes to ranking small forwards, LeBron remains king of that domain. Reaching Finals after Finals is nothing to ignore. But, losing Finals after Finals is also nothing to ignore. In terms of stat accumulation, LeBron is king. No one hustles harder or longer than LeBron. But stats don't tell the whole story. Chemistry is vital to the success of a team. LeBron's need to control the ball and the locker room has stifled ingenuity and earned countless coaches a pink slip. Most recently, LeBron's ego cost him an all-NBA point guard when Kyrie decided to 'take his talents to Boston'. LeBron is easily the greatest small forward ever. There, there is no debate. But that's really where the debate ends. Regardless if he finishes ahead of Kareem on the all time scoring list, his Finals collapses and losses to inferior teams will forever prevent him from surpassing Jordan, Kobe, Kareem, or Bill Russell.